“Getting you there safely, efficiently and conveniently” is the mission of the Iowa DOT. That mission starts off with the people who use mountains of data to look far into the future and put together plans with, and for, various groups within the agency to use as guidelines. Historically, plans haven’t gotten a lot of attention because they were fairly high-level policy documents that were more theoretical in nature. That’s all changing with a new school of thought that puts action to these planning efforts. Inside the Iowa DOT, the efforts of the planning team are highly regarded. Recently the planning team submitted three projects for the American Planning Association-Iowa Chapter planning awards. As a testament to their work, they won all three. 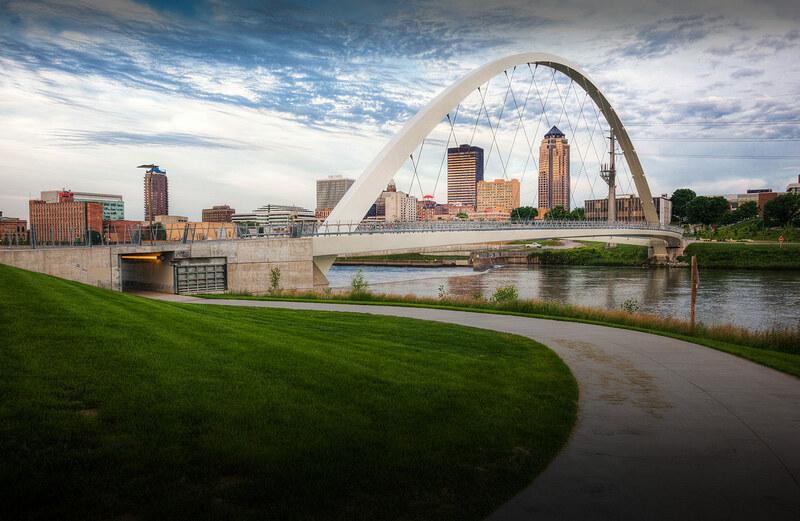 The plan, which was developed in-house, promotes the Iowa Transportation Commission and department’s mission of mobility and stewardship of a safe, efficient, and sustainable multimodal transportation system. Extensive stakeholder and public input through the planning process helped shape the plan. The plan has quickly transitioned into impactful implementation activities. Because of the long-range plan development process, we’re changing the way we prioritize projects and bring them to the construction phase, with the ultimate goal of making the wisest investments to improve safety and mobility on Iowa’s transportation system. “We published the Americans with Disabilities Act Transition Plan in December 2017 to identify the steps we will take to achieve ADA compliance for various public facilities in DOT right of way,” said Drahos. The effort that won the award was the data collection effort, which spun out of the implementation plan and the need to evaluate and improve ADA compliance. The data collected included compliance of more than 800 public transit bus stops located on Iowa DOT-owned property in meeting ADA regulations. Efforts within the Office of Public Transit began shortly after the ADA Transition Plan was published, beginning with identifying the criteria needed to evaluate the stops. LT Leon Associates, Inc. was contracted to research United States DOT, Federal Highway Administration, and Federal Transit Administration regulations to help refine the data to be collected that will serve to determine ADA compliance. Next, the Iowa DOT developed a field data collection application, dashboard and reporting process in-house to evaluate, document, and report its findings. The data collection was completed in September. Thank your for pointing out the excellent work this team has done, and continues to do, for the safely of all Iowa drivers.